It is always god to investigate what the best Forex brokers promise their traders. Black Diamond broker for instance made some attractive and unrealistic promises that the traders would have easily spot. As an illustration, they promised a four percent return to traders every month. It would have flashed a warning sign. If you are aware of the Bernie Madoff scenario, you would remember that during the scandal experts criticized the company for unrealistic promises when the company only guaranteed investors a 10 percent annual return. Another sign of an FX broker scam is the company itself. For example, Black Diamond Capital Solutions, LLC, founded by Keith Simmons was never licensed to operate as an investment firm, neither was it regulated by the CFTC in the US. This is why it is always essential to do your research on the legitimacy of a forex company before you invest with it to be sure that they are regulated. Gerald Leo Rogers founded Premium Investment Corp., TriForex International Ltd, and InForex Ltd, in just a single year. Isn’t that enough warning sign? The Scammer had stolen nearly 30 million dollars of clients’ funds before being caught. Even then, he only refunded 11 million dollars. The scam managed by Rogers was quite tricky because the transactions were carried out outside US, which made it difficult for the authorities to recover the money back. It’s recommended to find out if retail Forex broker is licensed and regulated, but you also need to find out everything you can about the company itself. 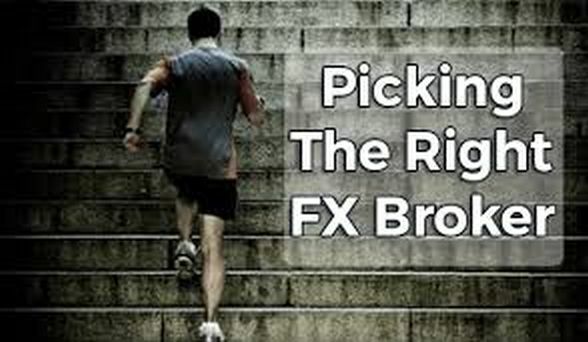 Before you make that deposit, find out as much as you can about the forex brokerage company. In the case of Black Diamond, if the investors have carried out research it wouldn’t have taken them time to recognize that there was something suspicious about it by looking at its structure. First, it wasn’t licensed to operate in the US and not regulated by any financial regulator. Also, it wasn’t even based in the US. As for Gerald Rogers, the chap had earlier been convicted of fraud and was in fact on parole when he launched Premium Investment Corp. Evidently, these two major FX brokerage scams could have been avoided by carrying out a simple research into the companies and their founder. Make Google your friend before making the leap. You can also use this resource to learn more about a Forex broker and avoid Forex brokers’ scams. However, you need to be wary where you source your information because there are some review websites that the fraudulent brokers themselves use to spread the fake positive news. It’s not easy selecting the good review websites from the bad, however, you should check if the comments appear inconsistent. In the first case of Black Diamond, the most noticeable sign that it was all a Forex brokers scam was in the extent of promises made. Don’t forget that when the deal is too good, think twice. And if it is extremely good, assume the worst and run. Look for any signs where the broker tries to talk you down about the risks involved. Forex trading is a very risky venture, even riskier than most other investments. Thus, if the broker says that there are minimal risks, just assume that they are lying. The most recent Forex regulations set out by MiFID II require that all Forex brokers indicate clearly that Forex trading is extremely risky. Moreover, they must warn traders about the possibility of losing more than their initial investment. Hence, do not believe anyone who claims tells you there are only minimal risks involved.